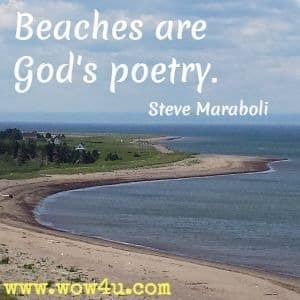 May these beach quotes motivate and encourage you to spend time on the beach. Early morning beach walks can be the most inspiring time of our day, the peace and the solitude can be refreshing and uplifting. Soak up the sun. Ride the waves. Breathe the salty air. Feel the breeze. Build sandcastles. Rest, relax, reflect. and the sand be your seat. 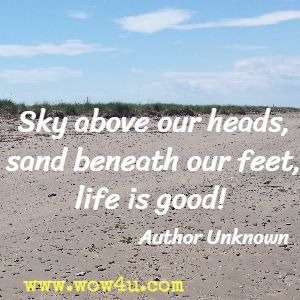 Walking on the beach brings a smile to my face. and parents are not in the rat-race. Everyone is happy on that day!